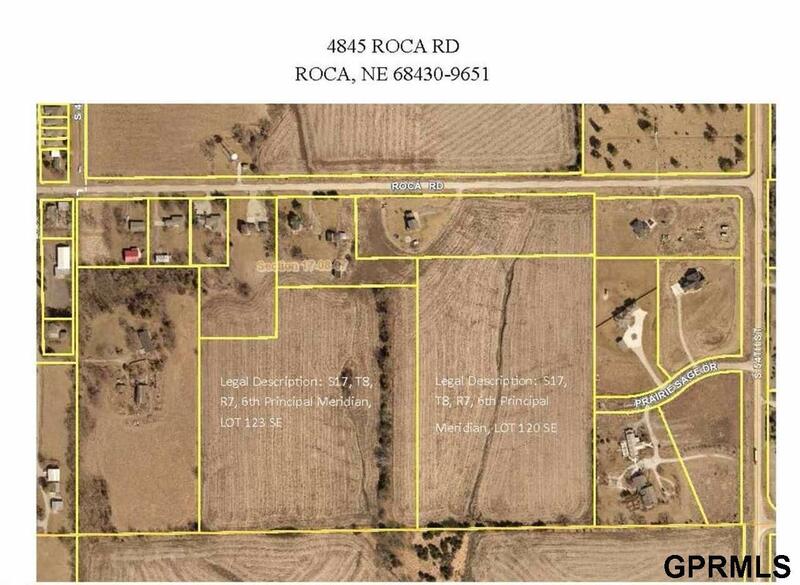 33+/- acres right next door to the community of Roca which is encouraging growth. Roca currently could provide sewer and water for 40 additional homesites, and seems opon to the possiblity of expanding. Only 10 minutes to Lincoln. Norris school bus goes right by and the new South Beltway will be minutes away. Talk with your builder/developer and come up with a plan.